Understanding about preparation of budget and various stages of designs. Understanding about value engineering aspects. 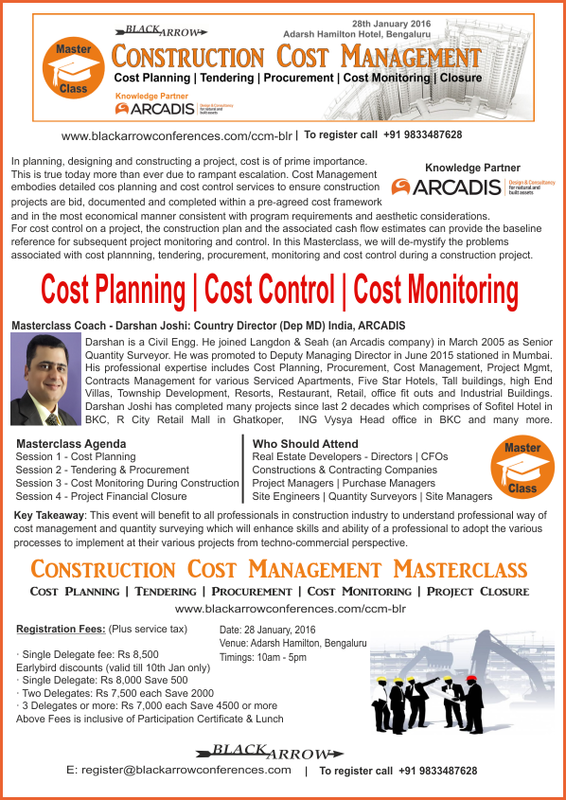 Check list for Cost Planning. Formulation of Conditions of tendering. Evaluation of Invoices and its process flow. Settlement of claims and disputes. Tips and tricks for final accounts settlement. ​Darshan Joshi is a Civil Engg. He joined Langdon & Seah (an Arcadis company) in March 2005 as Senior Quantity Surveyor, He was promoted to Deputy Managing Director in June 2015 stationed in Mumbai. His professional expertised includes Cost Planning, Procurement, Cost Management, Project Managment, Contracts Managments for various Serviced Apartments, Five Star Hotels, Tall buildings, high End Villas, Township Development, Resorts, Restuarant, Retail, office fit outs and Industrial Buildings. 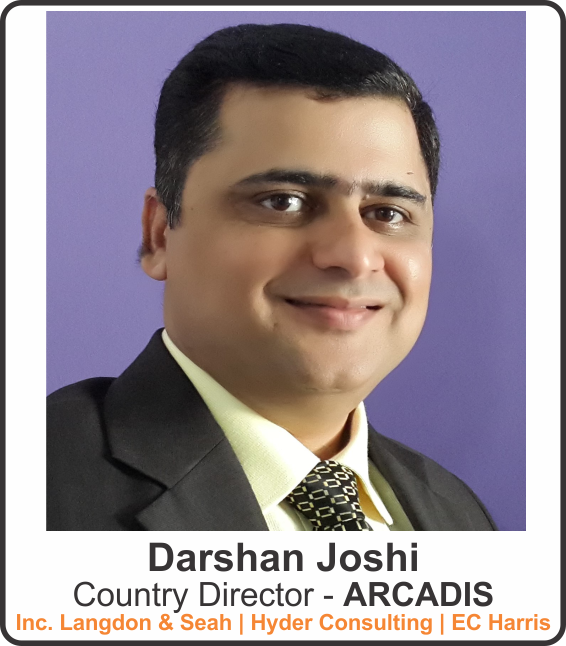 ​Darshan has completed many projects since last 2 decades which comprises of Sofitel Hotel in BKC, R City Retail Mall in Ghatkoper, ING Vysya Head office in BKC and many more. Few projects in construction stage currently are Nathani Heights at Mumbai Central which is a tall residential development, Century Commercial Development at Worli, Tripolis resdential development at Goregaon, Megaplois Township development at Hinjewadi Pune. Knowledge Partner: ARCADIS is a global natural and built asset design and consultancy firm working in partnership with clients to deliver sustainable outcomes that help to improve the quality of life. Through the work that we do, we are helping our clients to address the toughest challenges within the built and natural environments, delivering value for them and the communities and cities that we live in. Throughout the globe we employ more than 28,000 consultants in over 40 countries & deliver US$3.5 billion in revenue. Within Asia, we have access to over 5000 people based in more than 50 offices and enjoy a successful history dating back more than 80 years.